The S Corporation is a powerful tool to help small business owners form a corporation that allows a lower level of risk and that doesn't have the drawback of a double tax on business profits. "The S corporation allows for limited liability and a single layer of taxation for small closely held businesses," according to a House Subcommittee report in 2006. Although S corporations have been around for almost 60 years, this business type is still confusing. This article clears up some misconceptions about S corporations. S Corp Myth #1 - In the term "S corporation" or "S corp," the S stands for "small business." That's a popular misconception. S corporations, created in 1958 by law, are a sub-set of corporations, not a separate business entity. They are sometimes called "Sub-S corporations" in reference to Subchapter S of Title 1 of the Internal Revenue Code. S Corp Myth #2 - S corporations are formed in the same way as regular corporations. 1. First, a corporation is formed (called "incorporation") in the usual way, by registering the corporation with a state and filing other paperwork, including Articles of Incorporation, which describe how the corporation will be run. 2. Then an S corp election form must be filed with the IRS. You must file Form 2553 to make this election. S Corp Myth 3# - Any small business can form an S corp. There are specific requirements and limitations for corporations that wish to file an S corporation election. The corporation must be a domestic corporation, it must have no more than 100 shareholders, only one class of stock, and it cannot be one of several ineligible corporations. There are other requirements; check with your attorney before deciding on an S corp.
S Corp Myth #4 - An S corp election can be made at any time after the corporation is formed. The IRS requires that the Sub-chapter S Election be filed no more than two months and 15 days after the beginning of the tax year the election is to take effect. For a startup, this means the first year of the business. S Corp Myth #5 - S corporations work the same way as LLC's for tax purposes. S corporations and LLC's are alike in the aspect that they are a way to minimize business liability and also in the way income tax is paid. They are also alike in their structure, with a board of directors and shareholders. Corporations as a business entity pay income tax on the net income of the business. S corporations, , on the other hand, pay income tax through the owners (shareholders). The process of owners paying taxes works differently for corporations and S corporations. 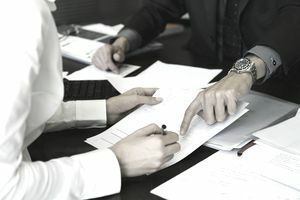 Corporations pay their own taxes, and the owners may be taxed on the dividends they receive or on their employment income, if they work as employees in the corporation. S corporation owners are taxed in a similar way as partners in partnerships and LLC owners. The net income or loss of the business is passed through to the owners, depending on the agreement between the owners. This tax is reported on the individual owners' income taxes. Each owner files a Schedule K-1 showing his or her share of the net income. This income is added to the owner's personal tax return. S Corp Myth #6 - S corporation owners can avoid self-employment taxes. It's true that S corporation owners don't have to pay self-employment taxes, but they cannot avoid FICA taxes if they work in the corporation. Self-employment taxes are the taxes paid by business owners for Social Security and Medicare. They are the equivalent to FICA taxes, which are shared by employees and employers. S corporation owners who work in the business are employees and must pay FICA taxes. S corporation owners must also pay themselves a reasonable salary. S Corp Myth #7 - S corporation owners can avoid double taxation. This myth is true; S corporation owners don't have to pay double taxes; this is one of the primary benefits of S corporation status. Double taxation to corporate shareholders is a result of the corporation paying income taxes, then the shareholders paying income taxes on the dividends they receive. Since an S corporation does not pay income taxes as a business entity, the owners can avoid the double taxation issue. S corporation owners only pay taxes as individuals; S corporations do not have dividends. Disclaimer. The information in this article is not intended to be, nor should it be relied upon, as legal advice. The author makes no claims about the completeness or accuracy of this information. Federal and state regulations change frequently, and every business situation is unique. Before you make any tax or legal decisions, consult with both your tax professional and your attorney.